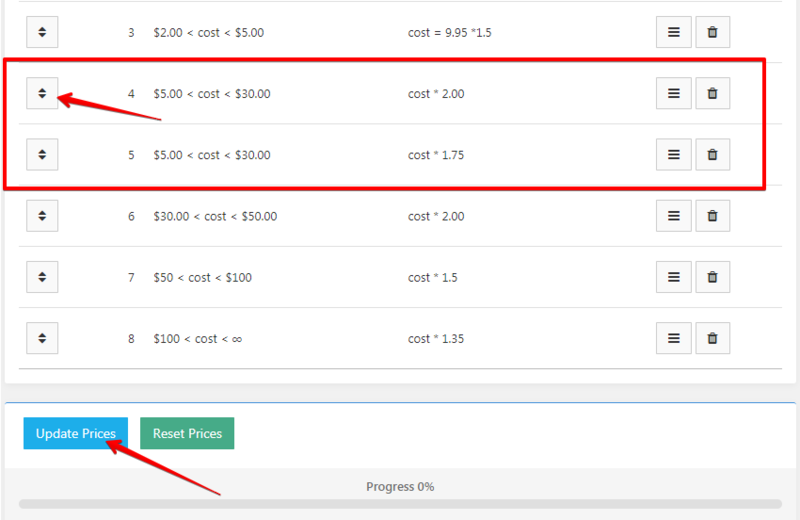 Enable this option if you want to set your own discount amounts for your products. 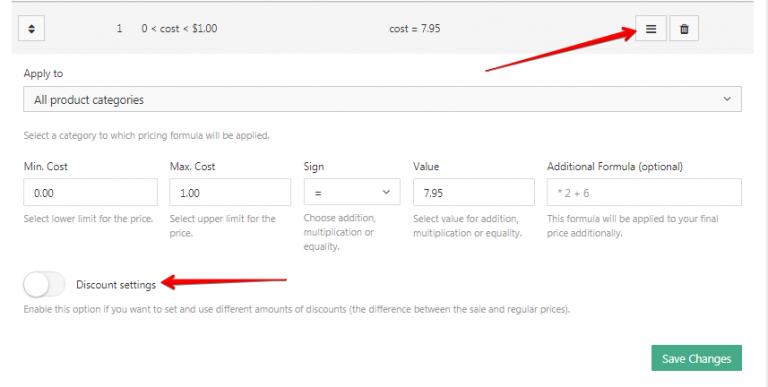 If you put '0' in Discount settings all discounts will be removed from the products. You have a product that initially has a discount of 19% on AliExpress and you want to sell it with 50% discount on your site. Import that product. Your discount amount is changed to 50% by increasing the regular price . So, the difference between regular and sale price is 50%. With the help of this feature you can round your prices. If this option is activated, for example, such prices like $8.53 and $6,47 will be automatically changed after products price update to $9 and $6, respectively. 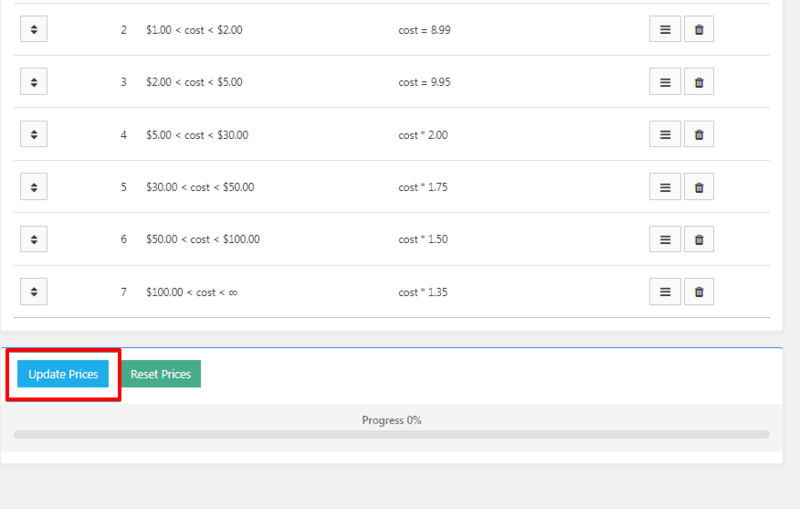 You need to update product prices to round and to assign cents. It can’t be done on the fly like before.